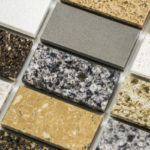 There are endless options when it comes to picking the right sink for your kitchen, including the kitchen sink faucet. Sink faucets come in different colors, materials, and styles. Some options even come with different functional purposes. 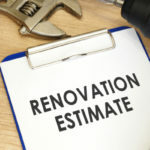 Adding a new sink, or just adding a new kitchen sink faucet, offers an affordable way to spruce up your kitchen. In order to avoid problems down the road your faucet needs to be durable and work well for your needs, while also retaining attractive qualities that match the overall tone and style of your kitchen. Allow us to provide answers about sink faucets. Here we detail different types of kitchen sink faucets to help make your selection process easier. These are the main different types of faucets for sinks. 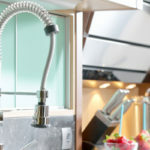 Of course, the options don’t end here but this will get your ideas flowing in regards to picking the perfect kitchen sink faucet for your remodel. Single handle faucets come with one lever to control all functions. This type of faucet is easy to use and affordable, making it one of the most popular options used in kitchens today. For hot and cold you simply swivel the faucet handle a different direction. In order to reduce or increase water pressure you can lower or raise the lever. Instead of one handle you get two handles with this type of kitchen sink faucet. One handle controls the hot water and the other handle controls the cold water. Thus allowing you to combine hot and cold water to create the perfect temperature. Dual handle faucets offer a more traditional and high-end look. Both dual and single handle kitchen faucets can have a pullout feature that allows you to dis-attach the faucet (like a hose) and tug it out. Cleaning stubborn cooking utensils or washing down the sides of your sink, there are many instances when a pullout faucet hose feature is beneficial. You usually can’t tell if a faucet has a pullout hose or not until you start to mess it with it, for that reason it’s not an aesthetics thing, but instead one of convenience. The important thing is to get one that is high quality; otherwise you might have more problems because the flimsy ones tend to break really easily. Bar sink faucets are usually used on secondary kitchen sinks. Bar faucets tend to be smaller and offer fewer options than standard kitchen faucets. Although for smaller economy kitchens, a bar sink faucet can be installed for the main sink. This type of faucet is literally mounted above the sink and attached to the wall instead of the sink. Wall mount kitchen sink faucets offer a unique styling that is ideal for rustic or antique style kitchens. Many people assume the sink and faucet are all in one, but most sinks don’t come with a faucet already attached. This is great because you don’t have to get a new sink in order to change out an old faucet. This also means that the type of faucet you select will change the installation method. Some faucets can be attached drilling only one hole, while others require 3 separate holes to be made in either your wall or sink. Depending how much damage you want to do to your surrounding walls and sink, the type of faucet you select may vary. What type of “arc” does your faucet have? This is such an important question based on the depth of your sink and the types of things you usually use your faucet for. An incorrectly proportioned faucet can make your kitchen tasks a lot harder. If you regularly clean large pots and other big dishes you probably want a high arc sink, which ranges around 8-10 inches above your sink plane. If low-hanging windows or other restrictions don’t allow you to have a high-arc faucet, there are low arc faucets, which range between 3-8 inches from the sink plane. Sink Faucets—Clean Up Or Replace? Faucets harbor a lot of bacteria so it’s important to clean them properly and regularly. Take a peak at the bottom of your faucet, do you notice white or gray build up? If so, this is a mineral deposit from the water. Over time these deposits unavoidably build up, eventually stumping the flow of water. If you notice your water is not coming out like it used to, your faucet’s aerator likely needs to be cleaned. One way you can easily clean your sink faucet is to soak it in a bowl of vinegar for 15 minutes—longer if necessary. Then, using a toothbrush you can gently scrub at the surfaces to remove stubborn, stuck on deposits. Make sure to rinse off the sprayer with hot water so that no vinegar remains. Dry thoroughly before returning back into position. Avoid abrasive cleaners and regularly clean your sink and faucet in order to keep everything in working order. Remember, after so many years it might be time for a new faucet. 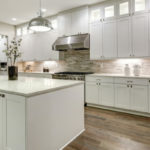 For top quality kitchen remodels at affordable wholesale prices, contact the pros at Tops Cabinet.